One’s personal breakthrough experiences can often be the motivator and inspirtation needed for someone and/or their group toward a discovery that frees them to succeed. Jim’s message with his personal battles and the discoveries that lead to breakthroughs will enlighten your heart and mind. A new attitude or approach is required to establish momentum to come from behind the obstacles and win. Jim inspirational talks can be tailored to convey this concept to any group’s need to target the obstacle for breakthrough performance. 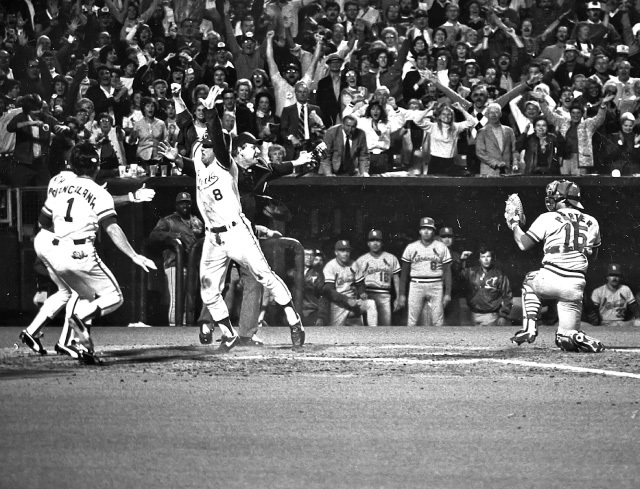 An image of the inspirational game winning slide sequence in Game # 6 of the 1985 World Series. 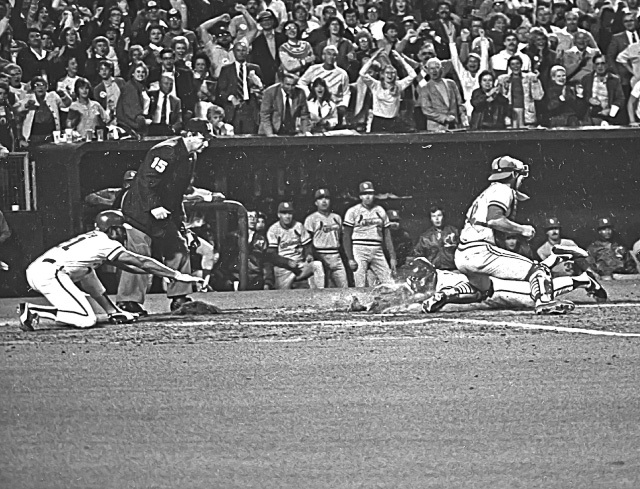 Darrell Porter, the Cardinals catcher, got out of position allowing Jim to slide to the back corner of homeplate for a come-from-behind win in the 9th inning. Lonnie Smith directing Jim’s inspirational slide. Buddy Biancalana joins the fun. 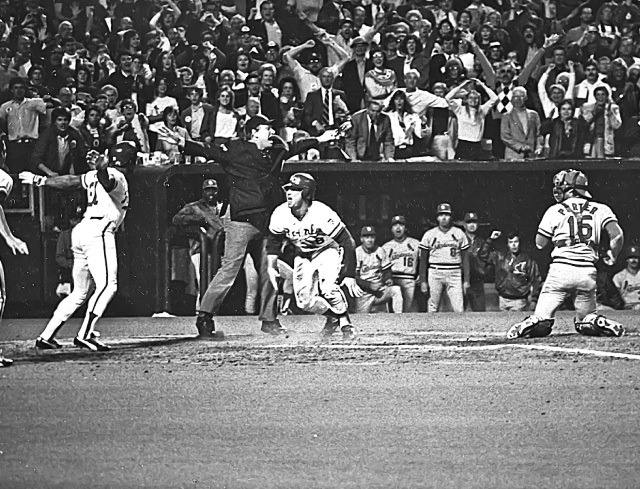 In the bottom of the 9th, the home team is behind and needs some momentum to start a comeback and win the game. Obstacles can appear to put your back to the wall with no way out. Fear can be one of those obstacles that puts your back to the wall with an overwhelming anxiety that can paralysis a person. An individual’s obstacles can affect a team or organization and hinder their overall performance. His stories of struggle and triumph will guide others, corporations, and organizations to find their own strategies to break free from whatever hinders their success. Addressing obstacles to better performance! An attitude that turns difficult situations into positive outcomes! Understanding fears and how to standup to them for greater freedom!